A common question as we make advances in our understanding of depression is the following: Is depression a disease? To answer this question, it is helpful to consider both the features of depression as well as the meaning of various ways of conceptualizing depression as a mental disorder, illness, or disease. In addition, the symptoms must cause significant distress or impairment in daily life and not be attributed to another medical condition or the effects of substance use or abuse. Considering the above list of symptoms, it's troubling to think about depression strictly as a disorder of the mind. Indeed, the many bodily manifestations of depression suggest that there is more going on than we once thought. Or, more importantly, there is little value in drawing a distinction between the mind and body; rather, they are both parts of a larger system that influence each other. Depression has variously been referred to as a mental disorder, mental illness, and a systemic disease. While there is certainly overlap between these terms, each has a unique definition that we can consider when trying to understand what exactly depression is. A mental disorder can be considered an illness that disrupts your normal mental functioning (just as a physical disorder would be one that disrupts your normal physical functioning). Examples of mental disorders are depression, anxiety disorders, and post-traumatic stress disorder. A mental illness would be considered largely the same thing as a sickness affecting the mind. Examples of mental illness are the same as above, though some might lean toward thinking of schizophrenia or bipolar disorder—illness with more obvious symptoms and that are traditionally thought of as being treated with medication first. In contrast, a disease is generally considered a problem of the body's functioning that produces symptoms. Examples might include heart disease, diabetes, and cancer. A systemic disease is one that affects the entire body, not just one organ or part. It is easy to see based on the above discussion that considering depression to be a systemic disease along the likes of hypertension or diabetes will require a massive shift in traditional perspectives of mental illness and mental disorders. However, just because it is not the traditional way of thinking about depression does not mean that it cannot be accurate. Over time, many of our perceptions of the world change as we gain an appreciation for our past misconceptions. This might also be the case for depression. In fact, there is an increasing trend toward evidence supporting the theory of depression as a systemic disease. Or, more to the point, the consideration that definitions of mental and physical illness may overlap more than we previously thought—such that the distinction between an illness of the mind versus the body is blurred. Could it be that depression, an illness that can be treated with psychotherapy, can have an influence on the physical body, and if so, what does that mean? In essence, labeling depression as a disease does not entirely capture the complex nature of the illness. However, it is a move toward understanding it as a disorder of both the mind and body. Evidence to support depression as a systemic disease comes in the form of biological changes that are seen in patients with depression. For example, inflammation, neuroendocrine regulation, platelet activity, autonomic nervous system activity, and skeletal homeostasis can all be influenced by depression. In this way, it is possible to see how depression could have relations to heart disease, cancer, diabetes—the very illnesses with which it is being compared. If depression is related to your immune response, how might that look? A meta-analysis conducted at the University of Granada and published in the Journal of Clinical Psychiatry examined changes in the bodies of depressed people based on 29 previously published studies. It was found that depression caused an imbalance in antioxidants and free radicals that can potentially damage the cells of the body, also referred to as oxidative stress. After these patients with depression received treatment, their levels of malondialdehyde, a biomarker indicating oxidative stress went back down to healthy levels. In addition, after treatment, it was shown that their levels of zinc and uric acid rose back to normal levels. 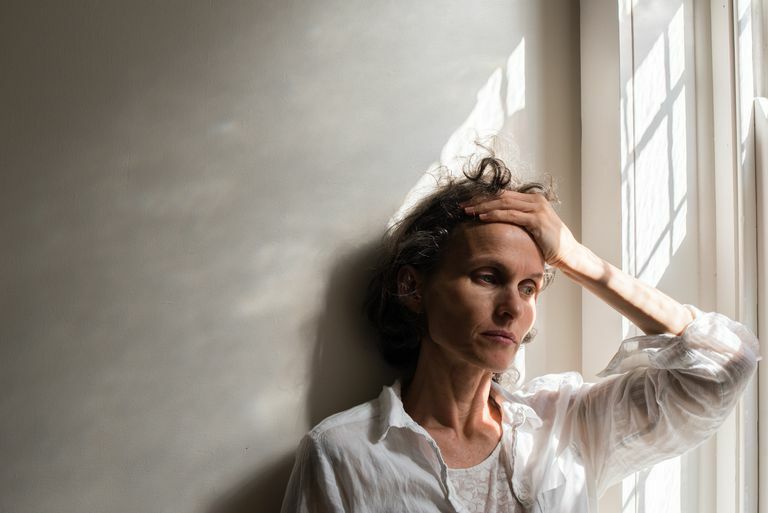 This fascinating research may help to explain why patients with depression often complain of physical symptoms like sleeping too much or too little, fatigue, and appetite changes. It is suggested that this may also help to explain why patients with depression tend to have shorter lifespans. We also know that some medical conditions can lead to depressive symptoms, such as hypothyroidism. It's easy to see how depression is not simply a problem of the mind, but rather a complex disorder with both biological and social causes connecting the mind and body. This type of research also suggests advances in how we diagnose depression, beyond asking a patient whether he or she is experiencing a list of symptoms. Imagine in the not too distant future receiving a biomarker test that indicates your level of depression! If depression is considered within the context of a systemic illness, what does this mean in terms of treatment? Beyond the obvious connection to pharmacological treatments such as antidepressant medication, it suggests that changes that impact the systems of the body may also help to alleviate depression. While mind-focused treatments are important, those that target systems of the body may also be key. If you are living with depression, it is important to know how to cope with it both in terms of your mind and body. While talk therapy such as cognitive-behavioral therapy (CBT) targets the mental causes of depression, and medication can target chemical imbalances in the body, there are other approaches you can take as well. In general, promoting body and cellular health will be beneficial if you are suffering with depression. Getting regular exercise, spending time outdoors (in sunlight), and maintaining a regular sleep schedule are steps that you can take to help improve your physical condition in relation to depression. When you consider depression as a whole body illness, it makes sense to approach it from multiple angles. Of course, your ability to make these changes will depend on the severity of your depression. Does it matter if we call depression a mental disorder or a systemic disease? Confusion can stem from calling it strictly a disease, along the lines of diabetes, because we know that you can't treat diabetes with talk therapy. On the other hand, considering depression as strictly a mental disorder doesn't capture the complex nature of the illness and may not motivate individuals to try methods of getting better that don't involve their mind. Just because depression can be treated with psychological therapy, does not mean the physiological ramifications are any less severe. Seek help for your depression symptoms, just as you would any other failing of your body. Severe cases of depression, in particular, are best treated by a mental health professional who can devise a plan that combines multiple components such as medication, talk therapy, and lifestyle changes. Karlsson H. [Depression as a systemic disease]. Duodecim. 2012;128(6):622-626. Jiménez-Fernández S, Gurpegui M, Diaz-Atienza F, Perez Costillas L, Gerstenberg M, Correll C. Oxidative Stress and Antioxidant Parameters in Patients With Major Depressive Disorder Compared to healthy Controls Before and After Antidepressant Treatment: Results From a Meta-Analysis. The Journal of Clinical Psychiatry. 2016. Sotelo JL, Nemeroff CB. Depression as a systemic disease. Personalized Medicine in Psychiatry. 2017;1-2:11-25. Wittenborn AK, Rahmandad H, Rick J, Hosseinichimeh N. Depression as a systemic syndrome: mapping the feedback loops of major depressive disorder. Psychol Med. 2016;46(3):551-562.